The PHILIPPINE Stock Exchange (PSE) has imposed an automatic suspension on three (3) firms over their failure to meet disclosure rules. PSE suspended trading of shares in Asia Amalgamated Holdings Corp., IP E-Game Ventures, Inc., and LMG Chemicals Corp.. All three companies have yet to submit their respective annual reports, using SEC form 17-A, for the year ended December 31, 2014. “As previously announced, the failure of [LMG, IP E-Game and Asia Amalgamated] to comply with the structured reportorial requirements of the Exchange will result in the automatic suspension of stock trading of [their] shares starting May 19, 2015,” the PSE said. 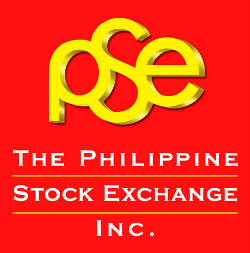 “Section 17.8 on Sanctions for Non-Compliance with Certain Structured Reportorial Requirements of the Revised Disclosure Rules provides that failure by the issuer to comply with the requirements of the Exchange will result in the automatic suspension of the trading of the issuer’s shares for a maximum period of three months,” the PSE said. These mentioned companies are no longer available for stock trading in the Philippine Stock Market, so let's find some other companies for our investments for the time being.